The post TVS Apache RR310 Registers 72% Sales Drop in India appeared first on Maxabout News. TVS Apache RR310 registered 72% YoY sales drop in March 2019. The flagship sportbike from the Indian brand registered 279 units in the 31-day period, leaving the decent 983 units sales number from March 2018 in favour of a continuous downfall that started with a jump in pricing. 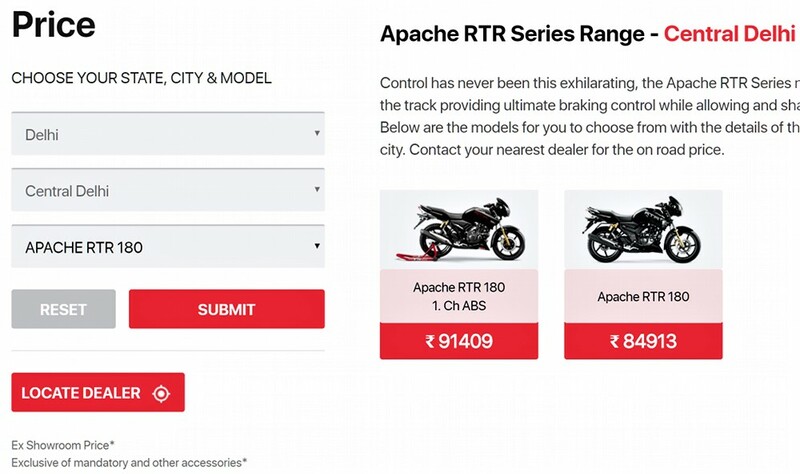 The 2019 variant of Apache RR310 costs INR 2,24,348 for Delhi (ex-showroom) while the buyers in Kerala can have the same motorcycle for INR 2,05,348 (ex-showroom). The lowest available price for RR310 is still higher than the expectations of an average Indian buyer as Bajaj Auto offers a much more powerful Dominar (40HP and 35 Nm) for INR 1,73,870. 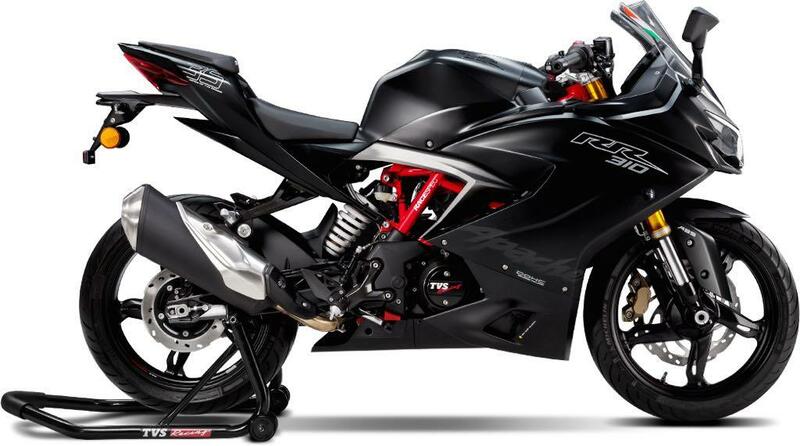 As the latter comes without a full-faired design, any tag under the INR 2 lakh limit would have changed the fate of TVS Apache RR310 in India. The market is highly competitive and buyers definitely consider value for money once the initial hype for a product goes down with time. After more than one year of existence, the flagship racer is yet to deliver numbers that TVS forecasted for the RR310. Undoubtedly, a product carrying very high potential is being left behind. 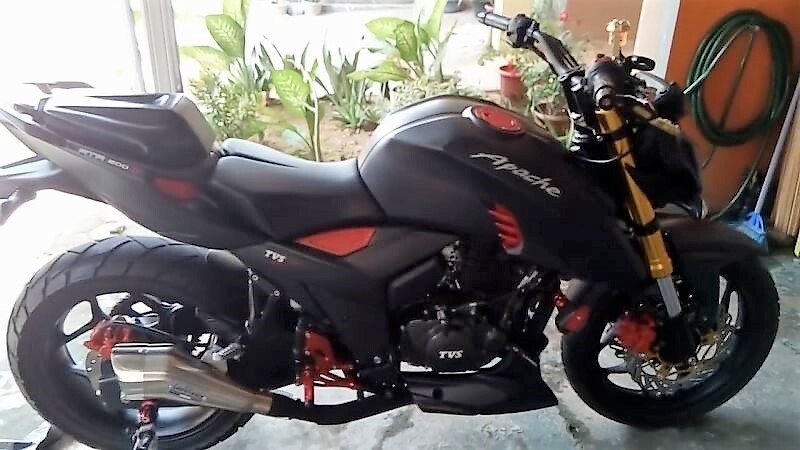 The post Price Hike Alert: TVS Apache Series Price Increased Again appeared first on Maxabout News. After multiple price hikes last year, TVS Motor has increased the prices once again across the entire Apache series, including the RR 310. Apache is India’s second highest selling sport bike series from last few years. It has successfully climbed many obstacles and proved its worth through the ABS-equipped models in India. The brand recently launched the new Apache RTR 160 4V ABS and they are also planning to launch an updated model of the RR 310 in coming months. 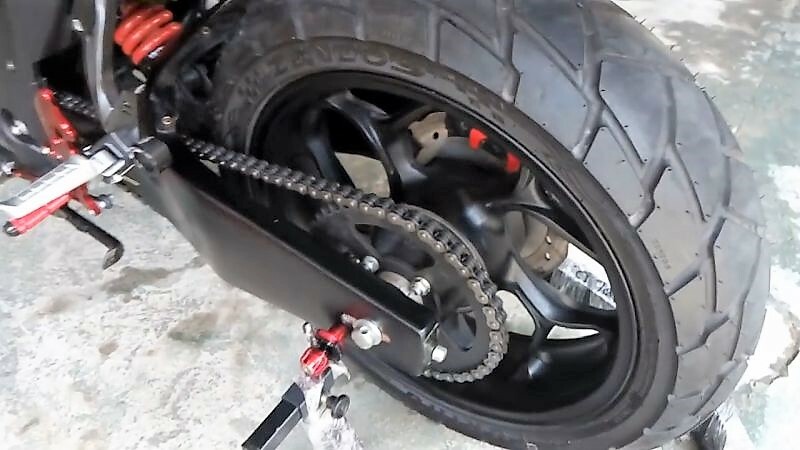 The motorcycle may include slipper clutch and other upgrades. The TVS Apache range now starts from INR 85,858 (ex-showroom). Apache RTR 200 is the most value for money option with 197.75cc, single cylinder engine producing 20.5 HP and 18.1 Nm of torque. It comes with a slipper clutch, 5-speed gearbox and claims most effective price tag for a 200cc bike. 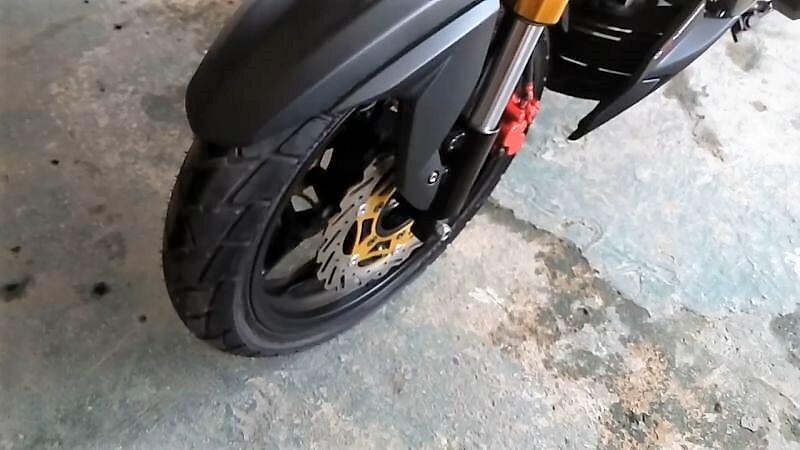 The post TVS Apache RTR 160 4V ABS Top Speed & Braking Test by Dino’s Vault appeared first on Maxabout News. The first ride review of TVS Apache RTR 160 4V ABS from Dino’s Vault brought positive feedback to the most desirable Apache of India. The impressive acceleration, along with the level of refinement at 118 kph has made the RTR 160 4V ABS a great option for those who are looking into the entry-level performance segment. The ABS-equipped brakes are brilliant as Dino is seen explaining the braking technique to extract the maximum benefits from the single channel ABS. Applying 75-80% on the front and 20-25% on the rear brake will still not let your tire get locked and simultaneously, break speeds with great ease. The braking from 62 kph to standstill took just 1.7 seconds while another feature that he praised was the Showa suspension. The motorcycle feels solid at even 80 kph and never let you feel any sort of irritation from the complete chassis, brakes and suspension setup. 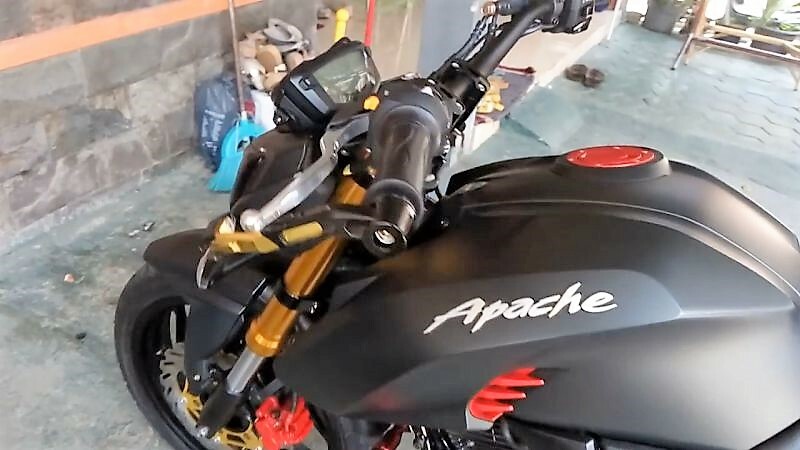 The post TVS Apache RTR Gets Super Moto ABS; Official Price List Revealed appeared first on Maxabout News. TVS Apache RTR series is now available with ABS-equipped variants in the Indian market, marking 100% compliance with the safety norms that are mandatory for every brand, irrespective of their origin or manufacturing practice. The locally-produced models with over 125cc of displacement need ABS as a standard safety feature for the purpose of sales through the dealerships. The Apache RTR Super Moto ABS range starts from INR 85,510 for the single channel equipped RTR 160 with a front disc while the version with a dual disc is priced at INR 88,339. The Apache RTR 180 is now available with single channel ABS for INR 91,409 while the most impressive RTR 160 4V costs INR 89,785 for the base variant and INR 98,785 for the top-spec fuel injected model. 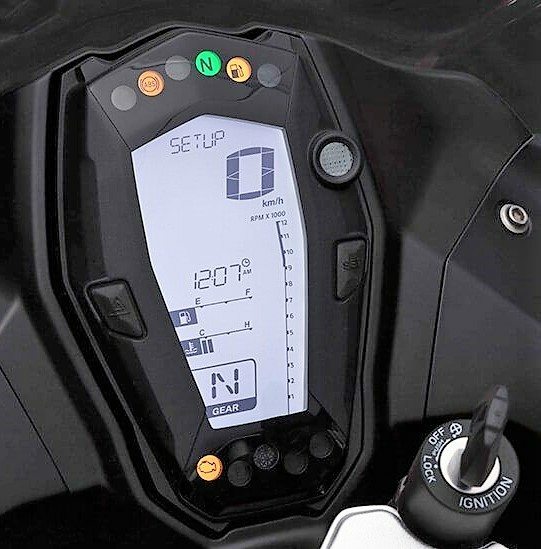 The RTR 200 is the only streetfighter in their lineup to have dual channel ABS in 2019. The pricing still feels practical for most models in the Apache RTR lineup. 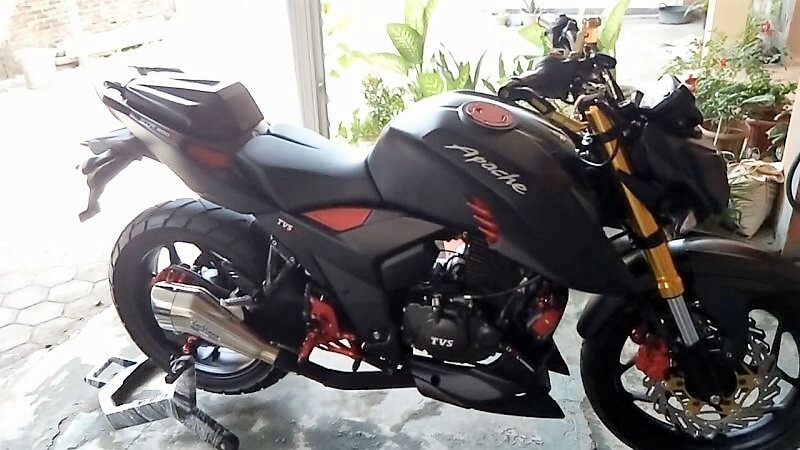 The post Goodbye 2-Channel ABS: TVS Apache RTR 180 Gets 1-Channel Unit appeared first on Maxabout News. 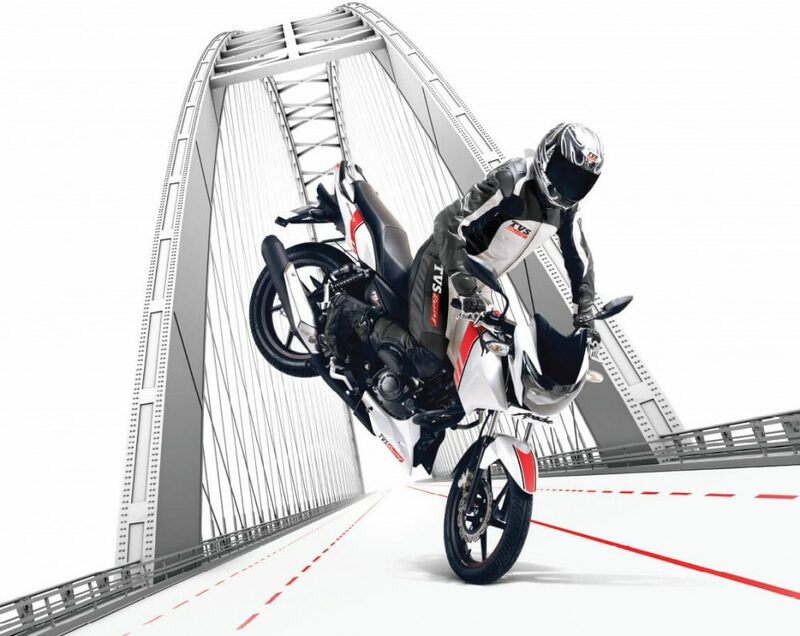 TVS Apache RTR 180 with 1-channel ABS is now officially available in India for INR 91,409. The motorcycle was earlier tagged as the only bike that brought dual channel ABS under INR 1 lakh but now, the Indian market has no model that uses the advanced ABS version under this price bracket. The prices for non-ABS models were untouched as they won’t be on sale from April 1, 2019. The new ABS unit is shared among Apache 160, Apache 180 and Apache 160 4V while the bigger Apache models named RR310 and RTR200 can be had with dual channel ABS unit. Both these models are priced well above INR 2 lakh and 1 lakh respectively. Apache RTR 180 is now available in a single variant while the younger cousin RTR 160 can be had in both single and dual disc versions. The month of April brings safe motorcycles for the Indian rider as none of the brands will be able to retail a non-CBS or non-ABS variant from their dealerships in the country. The 177.4cc, single cylinder engine on the RTR 180 is good for 16.62 HP at 8500 rpm and 15.5 Nm at 6500 rpm. The front disc brake measures 270mm while rear comes with 200mm disc brake. 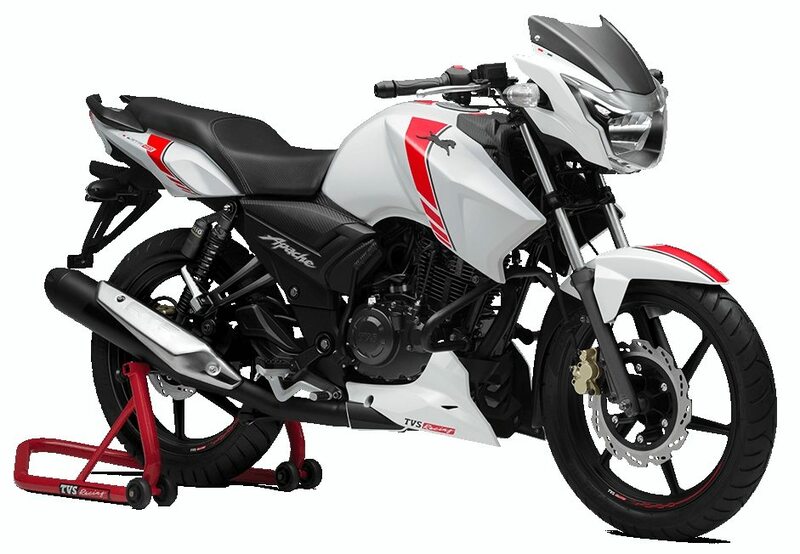 The post Sales Report: Bajaj Pulsar vs TVS Apache (February 2019) appeared first on Maxabout News. 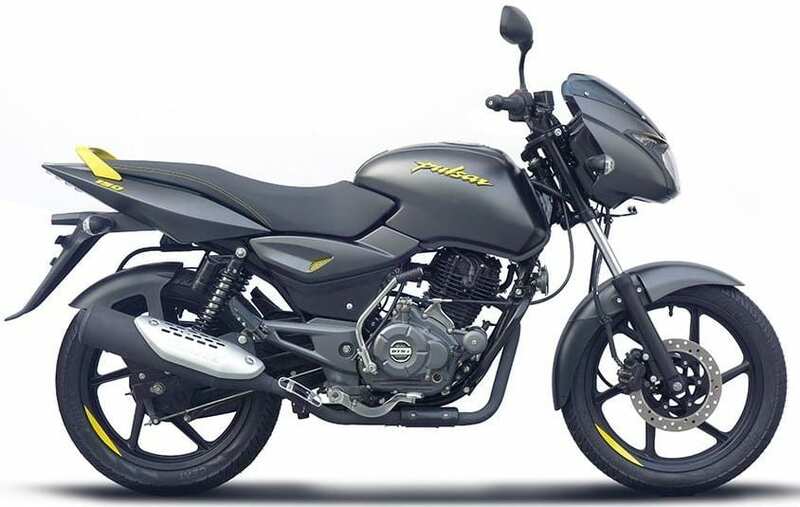 Bajaj Pulsar vs TVS Apache (Sales Report): February 2019 has again proven the fact that Bajaj Pulsar is unbeatable in its segment with 84,151 units in just 28-days of the month. On the other hand, the most designated rival to the lightweight sports series, TVS Apache posted 35,604 units during the same period. The gap is increasing gradually as earlier, both the brands were competing with a difference of fewer than 20,000 units and now, the gap has increased by approx 49,000 units. 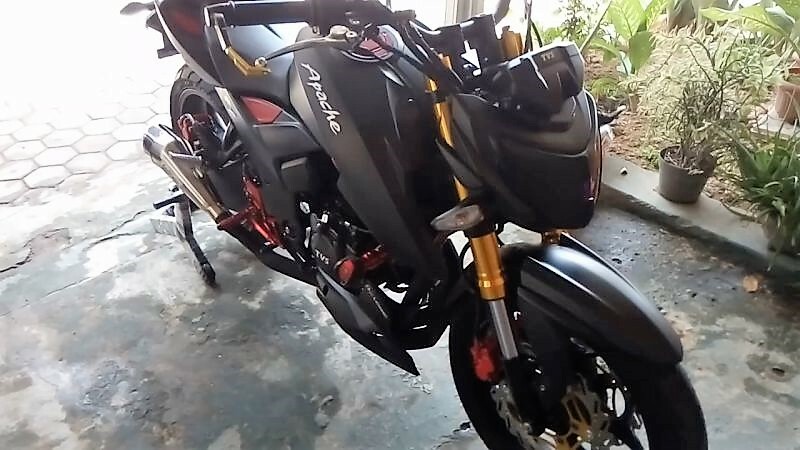 The sales number for Bajaj Pulsar is high due to the presence of Pulsar 150 and the same completely depends on the pricing factor. Here is the distribution of Pulsar 150 (63,673 units individually) variants according to the official Bajaj Auto website. This leaves all other variants (180, 180 Neon, 220F, NS160, NS200, and RS200) good for just approx 21,000 units during the entire month. The pricing factor for the Pulsar is the strongest point as going through the starting price of Apache 160 will clear the same in a better manner. 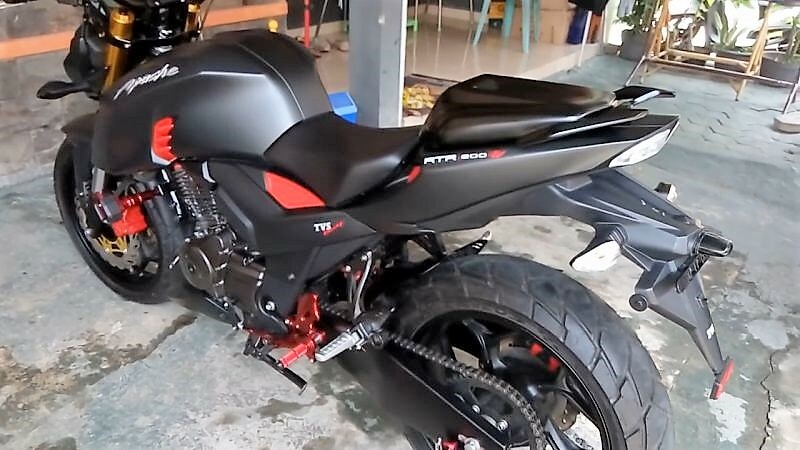 The Bajaj Pulsar vs TVS Apache numbers will get further divided once ABS becomes mandatory for all bikes. 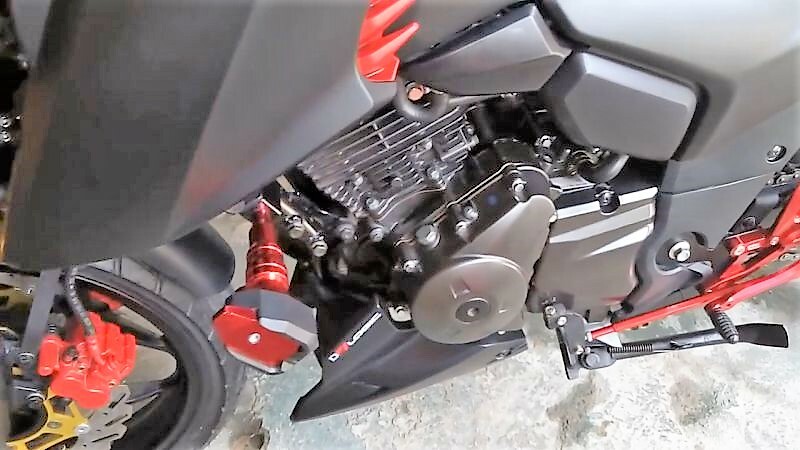 Also, the 160cc engine size of the Apache attracts more insurance cost and further extends the on-road price difference between both the models. The introduction of 150 Neon gave Bajaj an exclusive monopoly over 150cc products, with only Honda Unicorn having the potential to bring a huge number in the presence of this most-loved Pulsar model. TVS will need to have a regular 150 or 160cc model with Apache nameplate and watered-down performance and feature list to bring an ex-showroom price tag of around INR 70,000-75,000 (with ABS) to take on the Pulsar dominance in India. 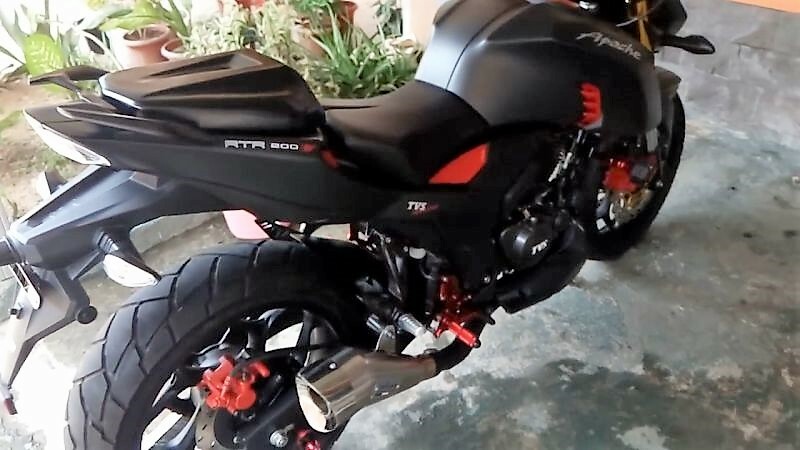 The post Sales Report: 246 Units of TVS Apache RR 310 Sold in February 2019 appeared first on Maxabout News. TVS Apache RR 310 registered just 246 units in February 2019. The downfall in sales was seen in every motorcycle above the 150cc segment, with Apache RR 310 being one of the worst hit products with loads of potential and such low response from the buyers. The biggest point of worry for TVS is that RR 310 never touched the four-digit sales number, even when it was priced at a much lower point in several states. The rise in price for the flagship motorcycle is one big reason for this sales drop. 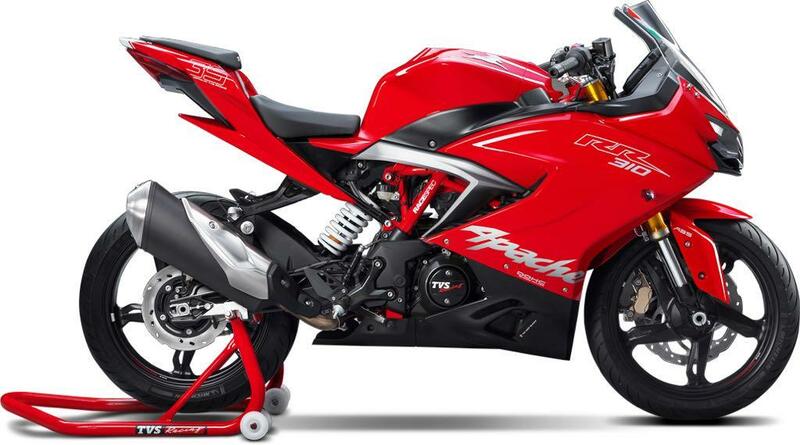 The buyers in Kerala can have the Apache RR 310 for INR 1,99,999 while those in Delhi will need to spend INR 2,23,070. Both prices are ex-showroom. Being India’s third largest brand by sales volume, TVS should have kept the pricing under INR 2 lakh for the first year of existence. The most powerful Apache of all time, RR 310 is using a 312cc engine, producing 34 HP of maximum power. It rivals KTM RC 390, Kawasaki Ninja 300 and Yamaha R3 in its segment. The latter two are twin-cylinder motorcycles with much higher price tag and excess of overall output. Above mentioned prices are ex-showroom, please contact your nearest TVS dealership to get the exact on-road price quote. 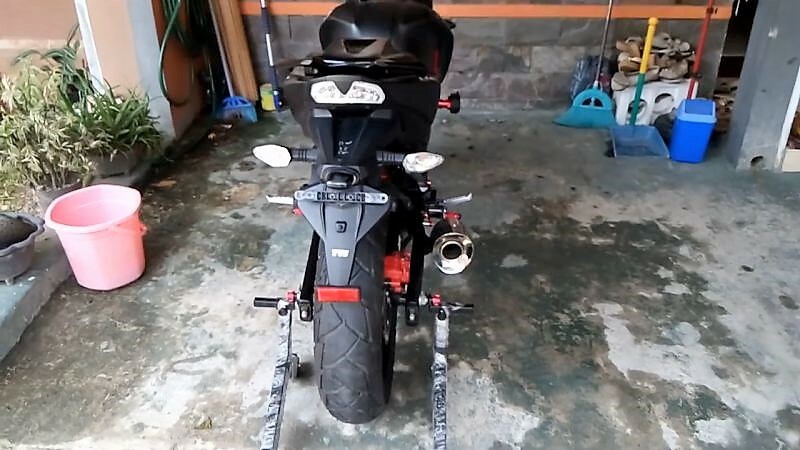 The post TVS Apache RR 310 Gets Performance Upgrades for Free appeared first on Maxabout News. 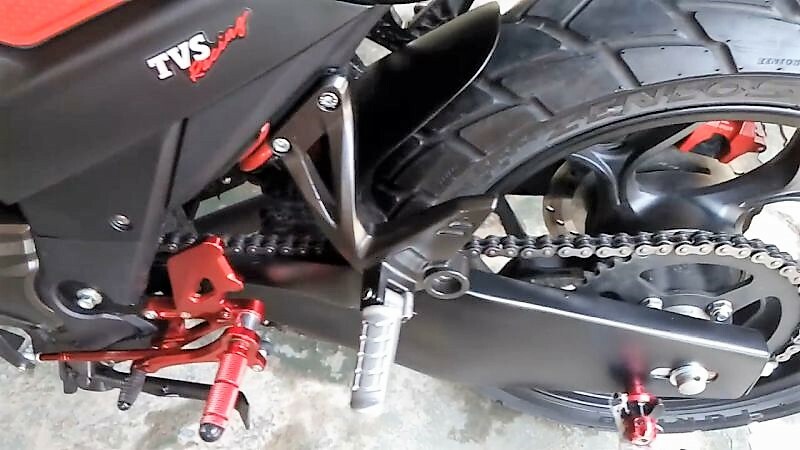 If you own a TVS Apache RR 310, the motorcycle is being upgraded for free at your nearest dealership. The first of its kind initiative by the Indian brand makes sure that the performance quotient of your motorcycle stays fresh and high at all times. The update could have been pushed in the form of 2019 variant of the motorcycle, but the brand has considered the equal need of the same for existing owners too. The most happening supersport category lightweight racer will get a long list of upgrades for free, leaving the buyers with better overall performance for their motorcycle. The dealers are notifying the owners about these complimentary upgrades through SMS. If the number that you had registered with the dealership is no more operational, calling the place and getting an appointment is the best idea. 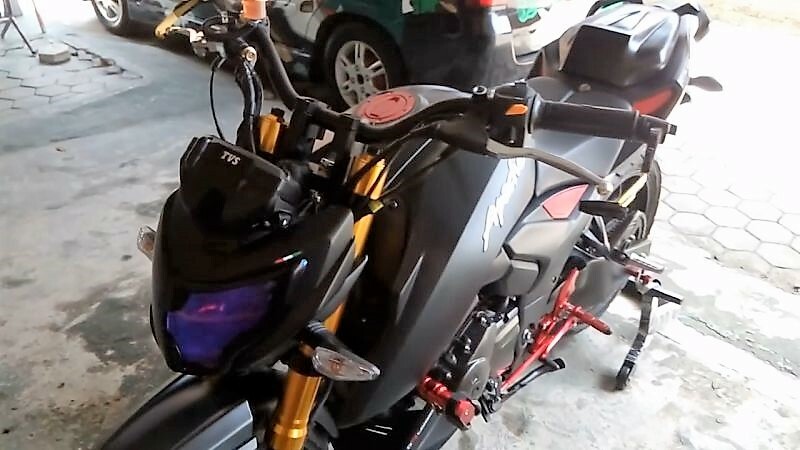 TVS is offering an ECU upgrade for better performance, a new visor cover with better aerodynamic ability, chain-roller replacement and even heavier bar-end weights for the motorcycle. The owners who won’t be able to reach the dealer at a short notice can get these changes done at the time of the service. Still, getting the updates as early as possible will help you explain the changes at the time of service that are required to extract more performance from the race machine. TVS Apache RR 310 didn’t sell in huge numbers as the brand expected because of the high ex-showroom price and limited availability. The price tag of INR 2.23 lakh restricted the number of buyers by a huge extent. However, in comparison to the RR310, BMW placed the products with similar underpinnings at a much higher price tag. The motorcycle is available in Racing Red and Racing Black shades in stock condition and can be upgraded like the one (Custom Akula 310) wrapped by Knight Auto Customizer with pure white body finish. 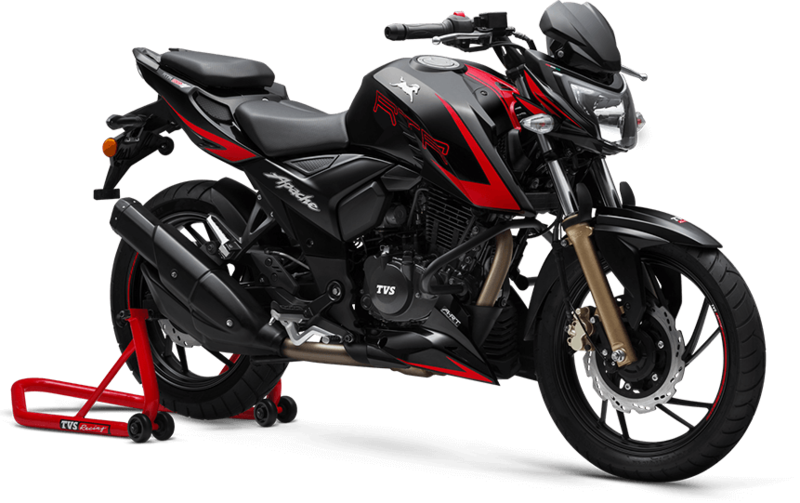 The post TVS Apache RTR 160 with 1-Channel ABS Launched @ INR 84,710 appeared first on Maxabout News. 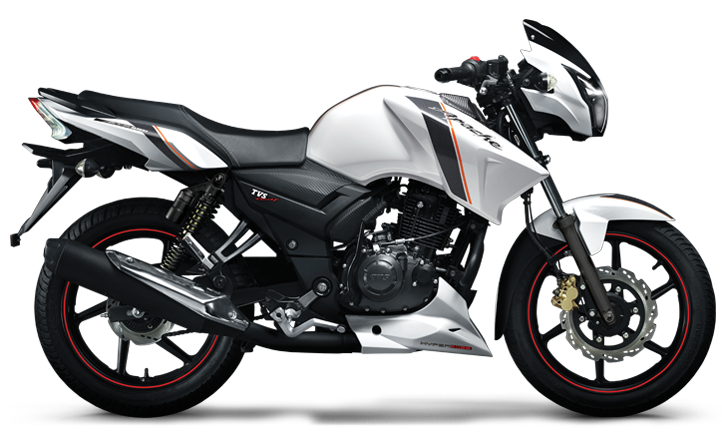 TVS Apache RTR 160 ABS has been launched in India for INR 84,710. The price hike is the lowest one in comparison to all the other products that have gained single-channel ABS as an option to date. The buyers looking for single-channel ABS and an additional rear disc can spend INR 87,719 on the motorcycle. 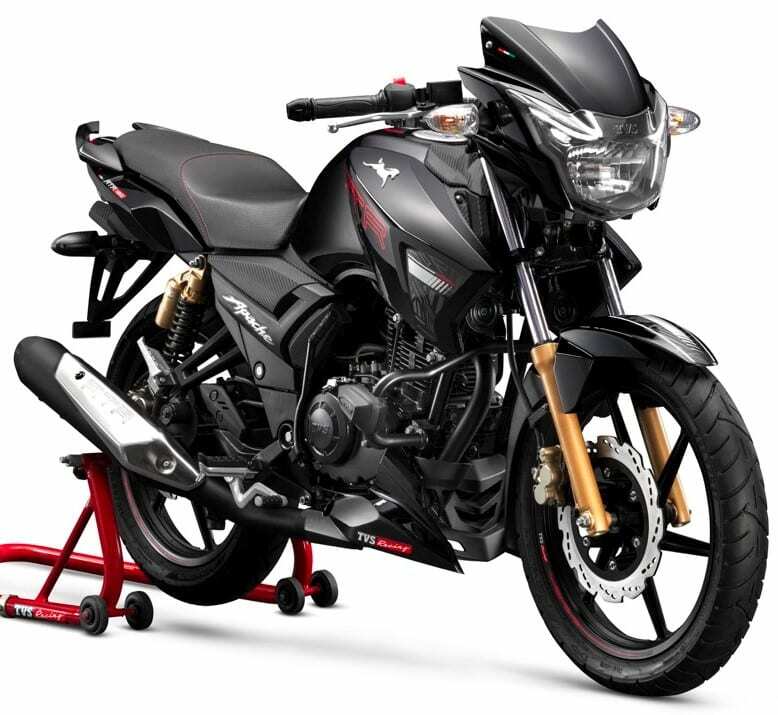 The popular sports commuter is still the most affordable one in the performance section, leaving just products like Honda CB Unicorn 150 ABS behind in terms of ex-showroom price. Apart from the change in ABS status of the RTR 160, everything remains similar to the non-ABS version. 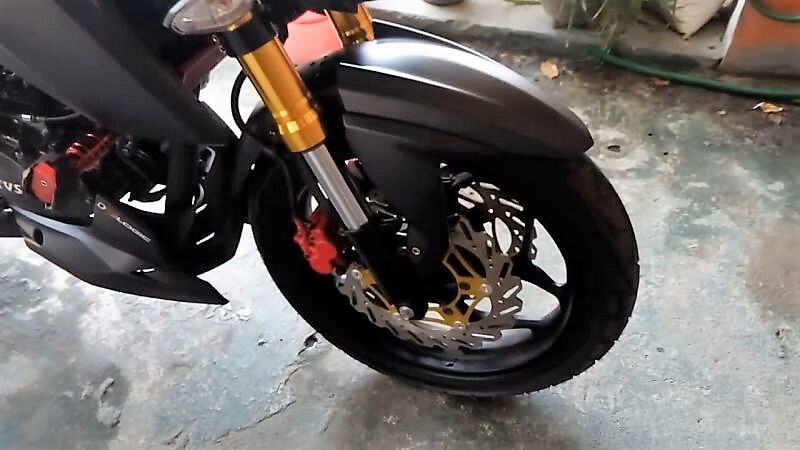 The non-ABS variants will stay on sale until stocks last as April 1, 2019, will see all brands shifting from standard to ABS brakes on their 125cc+ motorcycles. TVS Apache RTR 160 ABS is powered by a 159.7cc, single cylinder engine, producing 15.12 HP at 8500 rpm and 13.03 Nm at 6500 rpm. The engine comes mated to a 5-speed gearbox and claims a top speed of 110 kph. The front tire measures 90/90-17 while 110/80-17 rear tire balances the overall profile. The front disc brake measures 270mm while rear can be had with either 130mm drum or 200mm disc brake. Apache RTR 160 rivals Suzuki Gixxer and Honda CB Hornet around the segment. FZ-S has left the league with much higher INR 97,000 worth price tag while their own RTR 160 4V can be had for INR 98,600 for the ABS-equipped version.